Impact strategy for federal advocacy. First Five Years Fund’s (FFYF) mission is to help build a better nation through increased federal funding in high-quality early childhood education for disadvantaged children. Nearly ten years ago, they turned to Neimand Collaborative for a brand and message framework that would drive bipartisan policy support in Washington. Today, we continue to help FFYF secure big wins for early childhood education. When FFYF was created, there were many groups working on early childhood issues, but all with different areas of emphasis. Few were focused on the entire birth-to-five continuum and how to apply it to policy at the federal level. Additionally, early childhood education was seen as a “soft” and “liberal” issue. FFYF needed to amplify and add to the field, rather than divide or duplicate efforts. Most importantly, it had to turn a seemingly soft partisan issue into a common sense, nonpartisan issue that made sense to all policymakers in Washington. 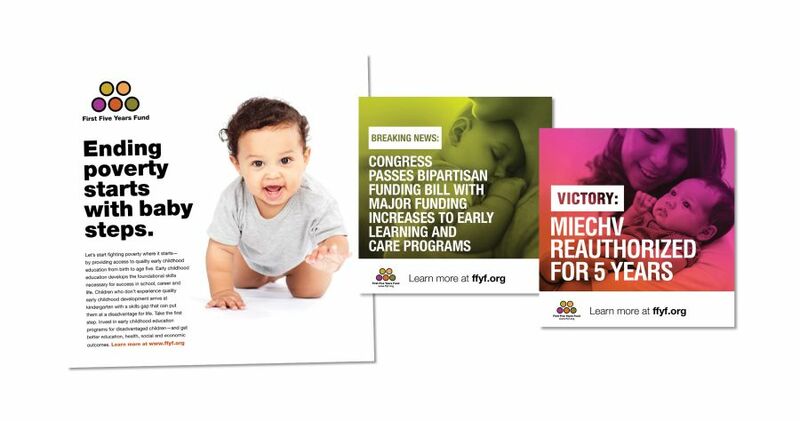 To move the needle, we developed and helped implement a brand and message frame to establish FFYF as a bipartisan organization capable of motivating Democrats and Republicans to make early childhood education a national priority. 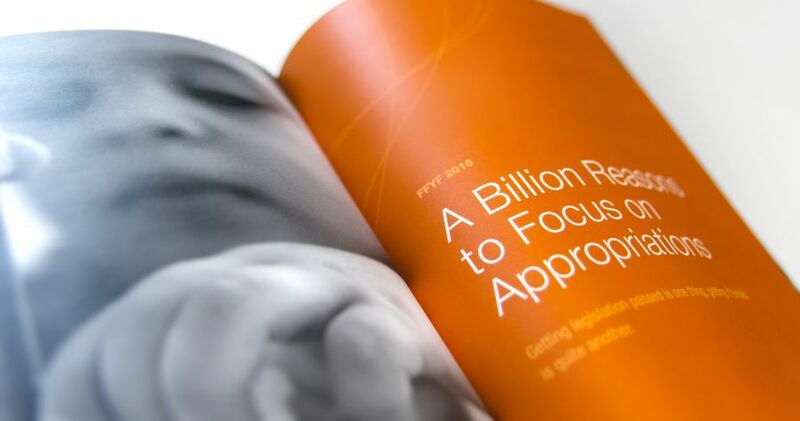 Working with the communications and advocacy teams, we helped FFYF advocate for high-quality investments that produce significant returns on the dollar. 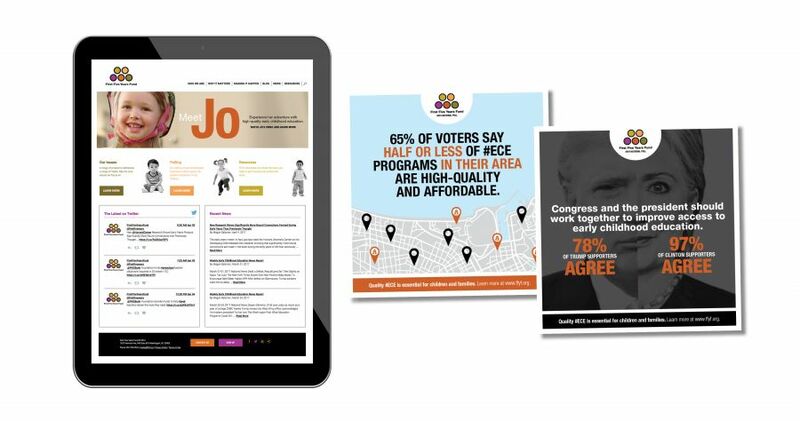 We developed the organization’s brand strategy, applied it in bipartisan policymaking strategies, wrote copy, reviewed materials, developed creative and implemented digital campaigns to amplify their efforts. 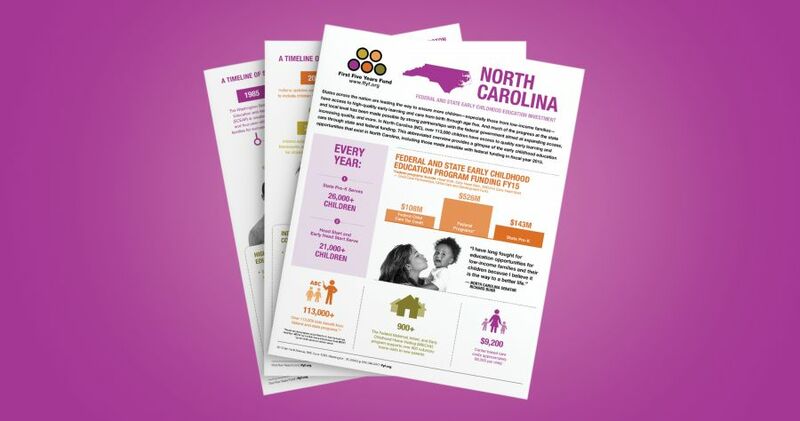 We helped FFYF spearhead the first national poll focused on measuring voters’ sentiments about early childhood education and legislative priorities, positioning early childhood as an advantageous political issue. 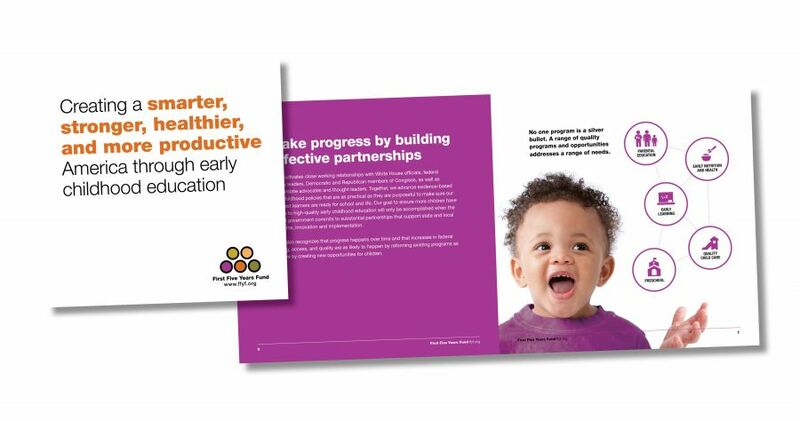 Additionally, we helped conceive, message and produce the White House Summit on Early Education and launch the Invest in US campaign, a bipartisan challenge to business, philanthropy and government to invest in quality early childhood programs for disadvantaged children. FFYF’s bipartisan advocacy and communications strategy has resulted in significant federal policy wins for early childhood education. FFYF has been instrumental in establishing The Early Learning Challenge, a $500 million federal investment designed to encourage states to build high-quality early childhood systems; passing the Every Student Succeeds Act (ESSA), which includes $250 million dedicated to Preschool Development Grants; preserving the Child and Dependent Care Tax Credit (CDCTC) to help families afford the costs of child care; reauthorizing the Maternal, Infant, Early Childhood Home Visiting Program (MIECHV); and securing numerous budget and appropriations increases during times when budgets for other programs were cut.